Marianne & John Engagement Shoot BTS from Joanna Eduardo on Vimeo. When Marianne submitted to us their prenup, we liked the fact that she put more focus on their behind-the-scenes video. To her and John, the BTS was worthy of its own feature because it captured so much more facets of the prenup itself. And we couldn't agree more! We are fans of BTS shoots! In fact in our own respective weddings, RB Mica and I had second teams to capture the behind-the-scene moments as well. Sometimes, it's as simple as getting a friend, relative, or new talents who are more than willing to do it as a gift or to build their own portfolios. But a word of caution. Having several teams hovering over you can get ugly. Sometimes, there are also photogs/videogs who are uncomfortable with having other teams around just because it means that the space and time allotted to shoot with you becomes even more limited and challenging than it already is(especially when the time is already tight to begin with). So don't get a BTS team if there's too many in your wedding team's respective head counts or maybe assign your BTS team to cover other aspects of the preps besides you and your groom. 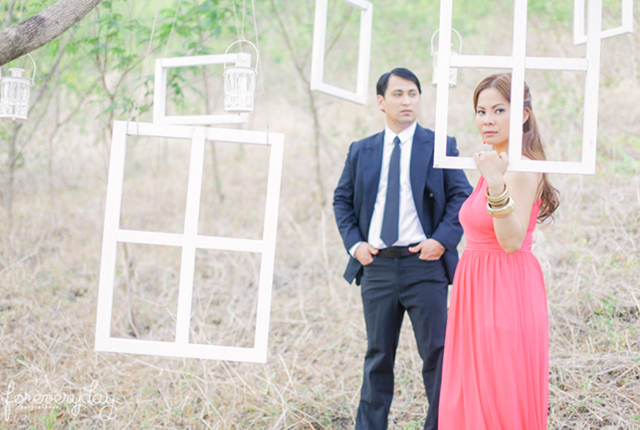 "We thought that prenup photos were not enough to capture the moments. That is why we came up up with a "behind the scenes" video to document the shoot. In doing so, it gave us a wider perspective on how our team worked hard to have the perfect moments, photo after photo. It made us become more appreciative." CREDITS: Behind the scene footage from Marianne and John's Engagement Shoot. Shot and edited by Joanna Eduardo.